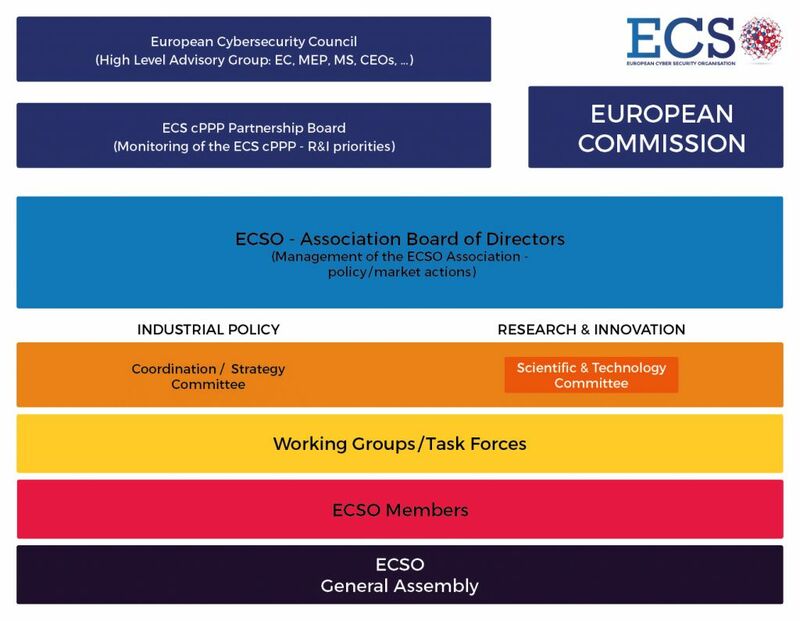 The Partnership Board is the formal communication channel between the European Commission and the ECSO Association to discuss the Horizon 2020 Cybersecurity cPPP Work Programme, the implementation of the overall R&I programme related topics and the monitoring of the cPPP commitments (Key Progress Indicators). It allows for an open dialogue between the members to reach the objectives foreseen by the contractual arrangement between the European Commission and ECSO. It provides oversight such as monitoring, advising, community support etc. The Partnership Board is composed by representative from the European Commission and ECSO Members (with exclusion of representatives from public administrations). S2 Grupo de Innovacón en Procesos Organizativos S.L. ISGS – Intesa SanPaolo Group Services S.C.P.A. SPRI S.A. – Sociedad para la Transformación Competitiva – Eraldaketa Lehiakorrerako Sozietatea, s.a.r.